I have a great fondness for pickles — in sandwiches, on their own, with charcuterie, you name it. The topic had been on my mind recently, especially after a lovely chat I had with New York chef Wylie Dufresne on how to pickle just about everything. The conversation made me think — what dishes would taste great with pickles in it? That’s when I thought about a tart Polish soup I came across a a while ago that had been on my mind. Now, I’d never even tried this soup before, much less made it. But it has a big flavor that I love in dishes — tart acidity. 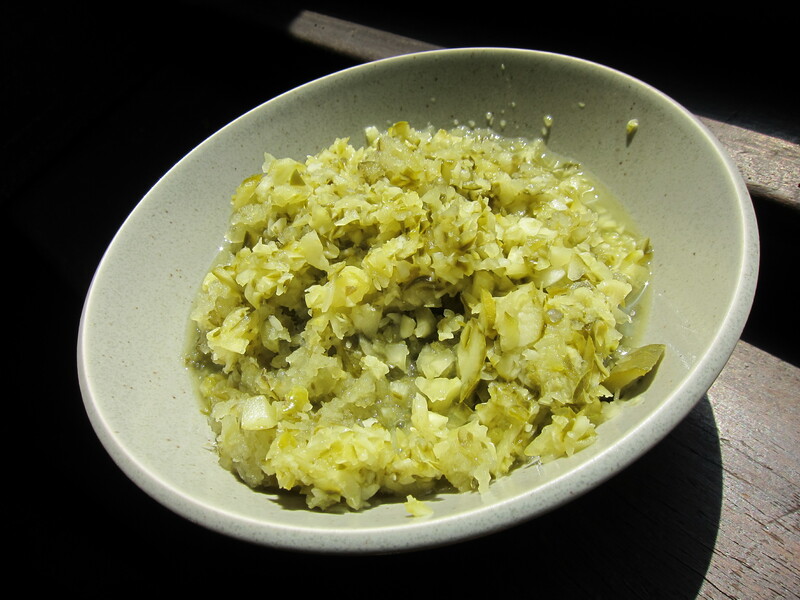 After consulting several recipes online and looking at dozens of photos, I figured I had a fair idea of the kind of Polish pickle soup I’d like. 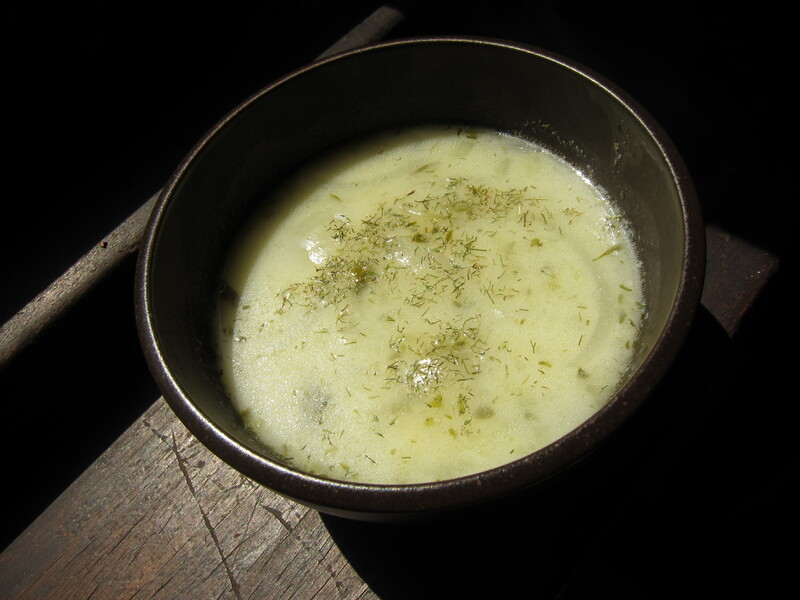 … then in went the rest of the ingredients: Broth, pickles, potatoes and more. Other things like a bit of flour and sour cream came later and once that was all boiled together nicely, it was ready to eat, with a little fresh dill on top. I wasn’t quite sure what to expect at first bite, never having had this soup, after all. But of course I needn’t have worried that all that chopping and peeling would have gone to nothing. The broth was light yet rich with flavor from the pickles and onions as well as with a little texture from the creamy sour cream. And the softened potatoes, onions and pickle chunks were delights — the pickle bits, especially, offering a lovely brightness to each bite. Chef Dufresne was right when he said that pickles have the ability to elevate just about any dish. And when it’s the star of the show, it turns out, the dish can leave you on a pretty good high. Buon appetito! Don’t forget to check out other Let’s Lunchers’ pickle dishes below! And if you’d like to join Let’s Lunch, go to Twitter and post a message with the hashtag #Letslunch — or, post a comment below. 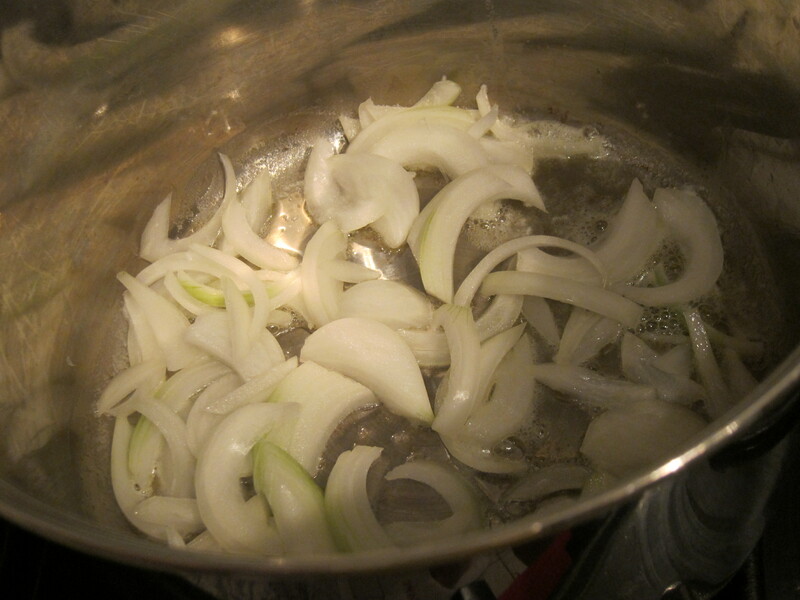 Directions: Melt butter in a large pot and saute the onion in it until softened and fragrant (a few minutes). Then add pickles, broth, pickle juice and potatoes. 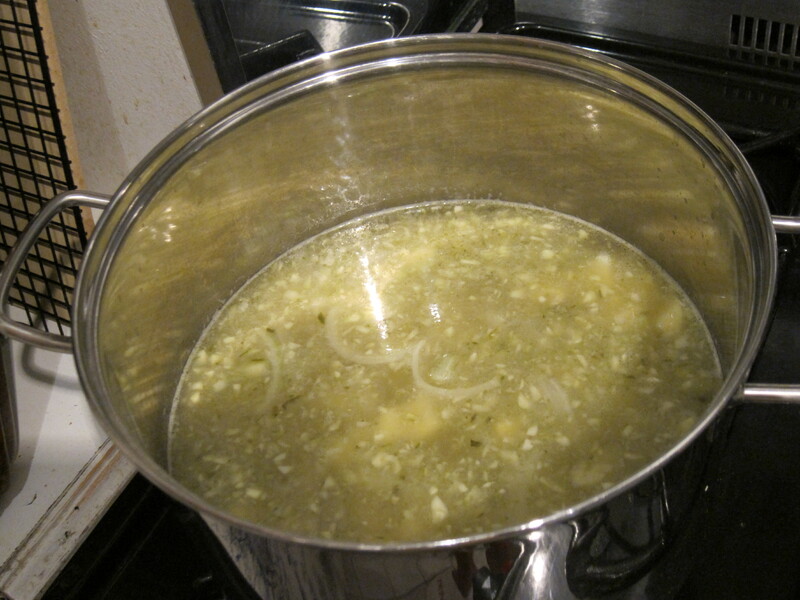 When that comes to a boil, reduce heat and simmer until potatoes are tender, which will be about 20 minutes. Blend flour with sour cream, add a little hot soup to that and mix well, then add that to the pot of soup, whisking. Let that come to a boil, then season with salt and pepper to taste and serve with dill garnish and more sour cream on the side, if desired. Note: If you like a creamy rather than chunky soup you can run the ingredients through a blender or food processor after you’ve cooked them all together.